The SmartWatt boiler has a power plant inside. The unit not only gives off heat, but it can generate electricity for less money and with fewer emissions than buying juice from the grid. Cogeneration, or combined heat and power, has been done before. “However, most of these systems are designed around engines,” Cocuzza notes. The SmartWatt is a boiler that’s been seamlessly integrated with a steam turbine. 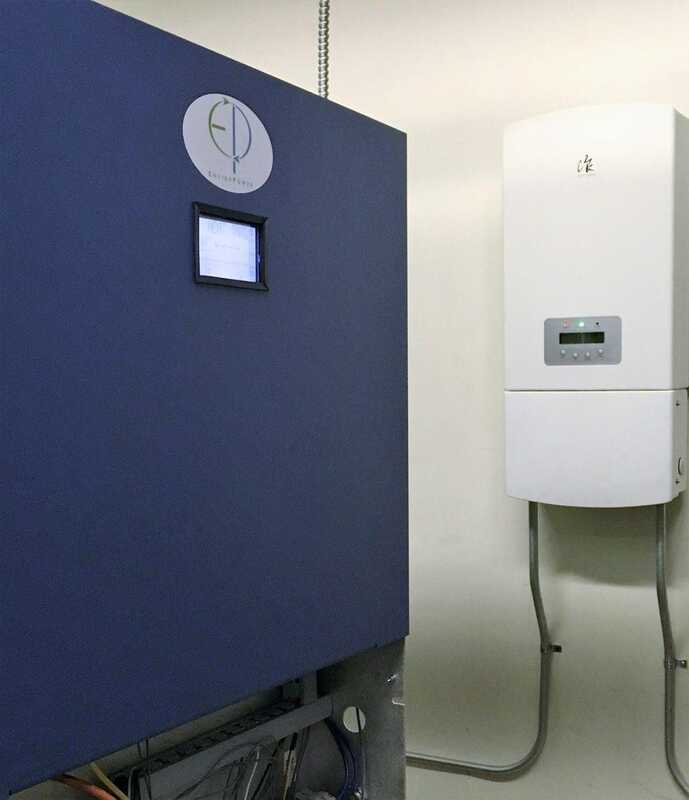 There are 5 kW electric/150,000 BTUh SmartWatt units for homeowners featured on Enviro Power’s site, along with 6 kW electric/175,000 BTUh units for multifamily and commercial buildings. The commercial units can connect with building automation systems and the residential units are enabled to provide backup power automatically in the case of an outage. Enviro Power hopes to grow to compete with the conventional boiler market, creating a bridge to renewable energy without stressing the aging power grid. Transmission & Distribution World Magazine notes that combined heat and power is seeing renewed attention with a drop in the price and rise in the availability of natural gas along with the increased efficiency of engines. The U.S. Environmental Protection Agency has formed a CHP Partnership to promote the technology (seeking to reduce air pollution and water usage associated with electric power generation). “Wherever there is a need for heat, why not make heat and electricity? It saves the end-users money as well as reduces greenhouse gases,” says Dan Nadav, Enviro Power’s CEO. Nadav tells LP Gas Magazine that the boiler will likely to released to the public in 2020, and be ideal for areas and applications that need year-round heating and hot water, such as apartments, car washes, nursing homes and restaurants.